Vibrant, firm, supple skin is a beautiful thing. Every day your skin encounters elements that will over time, diminish its fresh, natural glow. You’ve heard about the skin-boosting properties of microneedling. But what if you could combine the rejuvenating benefits of microneedling with infusions of hydration, vitamins, dermal fillers, and or BOTOX with none of the downtime associated with microneedling and superior results? Meet AquaGold microinfusion. This revolutionary procedure, available to you at Rapaport Plastic Surgery in NYC, could become your skin’s new best friend. AquaGold takes the science behind the skin enhancing benefits of microneedling a step further. This groundbreaking microneedling system delivers infusions deep into the dermis allowing for greater absorption, while stimulating the skin’s natural production of collagen and elastin. This innovative procedure helps restore your skin to a smoother, more vibrant complexion with no downtime. This may be the single best skincare treatment to become available in the USA. What are the Benefits of AquaGold? How is AquaGold Different from Traditional Microneedling? AquaGold takes the principles of microneedling and enhances them taking the benefits to the next level. While traditional microneedling may be slightly uncomfortable and requires minimal downtime, AquaGold is a painless procedure which involves no downtime at all. You may have a slight pink tint to your skin following treatment, but this generally subsides within an hour of treatment. Furthermore, AquaGold can be accompanied by the infusion of hyaluronic acid fillers such as Restylane or Juvéderm, BOTOX, growth factors, or skin-boosting nutrients to restore a glowing, fresh complexion. Why are the Needles Used in AquaGold Gold-Plated? 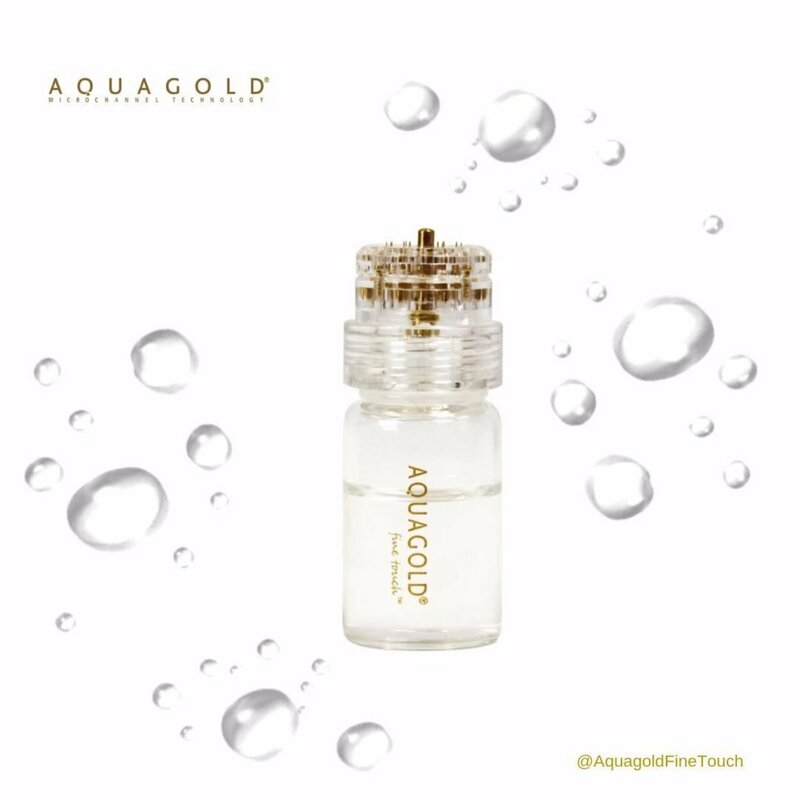 The needles for AquaGold are composed of stainless steel plated in 24-carat gold in order to avoid skin irritation, even for those who have very sensitive skin. Why Should I Choose Dr. Rapaport in New York for AquaGold Treatments? At Dr. Rapaport’s clinic, we are thrilled to bring you the latest skin care innovations to help you rejuvenate your complexion and restore a youthful, fresh glow. As a leader in in the latest advances in aesthetic technology in Manhattan, you can discover cutting-edge technology at Dr. Rapaport’s Plastic Surgery center. From the moment you enter our Upper East Side Manhattan offices, you will be warmly welcomed by our friendly staff. Our plastic surgeons and aestheticians are highly-skilled and trained in the latest procedures, ensuring that you will receive only the most effective treatments available. It is our goal to help you restore a vibrant complexion while enjoying our serene, luxurious atmosphere built to provide a truly superior patient experience.